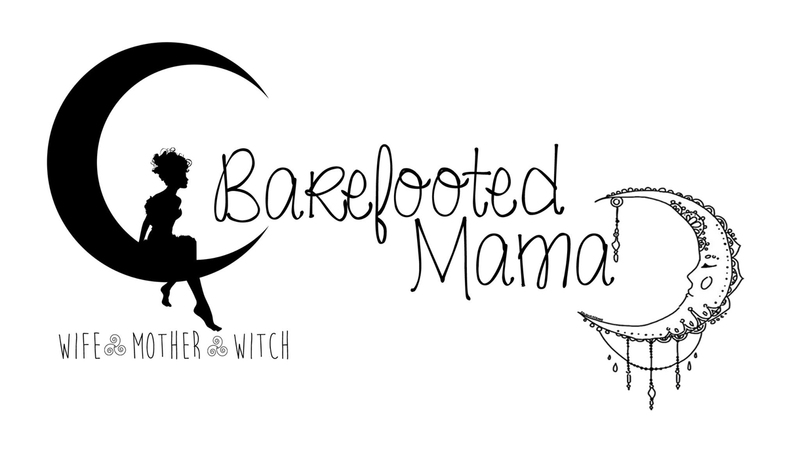 Barefooted Mama: How I became a child of the Goddess. For years I was raised Christian. I still carry a lot of those beliefs today and because of my Christian background I will never put down another Christian for believing in Jesus Christ or God. I may have lost my way over the years but that does not mean I want to be saved or become a born again Christian. I have spent too many nights talking, screaming and praying to God and never seeing anything for myself to truly believe in. Eventually I lost my faith. For years I was agnostic. I knew there was a higher power out there, but I just could not believe in God anymore. I knew that was not the path I was meant to walk down. Then twelve years ago a friend of mine introduced me to Wicca. Right then something clicked inside me. I knew without a doubt this was the path I was meant to walk down. I was a solitary practitioner for a long time. During that time of solidarity Wicca for me became Paganism. Wicca was too black and white. You were either good or bad. Being Pagan meant I had a grey area. It is in between good and bad. Does that mean I hurt people? No. Not at all, to me the grey area means that I have the right to defend myself and my family through magickal needs if necessary. To backtrack, after a few years of being solitary, I then joined my first Pagan group. They gave me the fundamentals I needed to move up in my path and helped me have to the courage to start my own group when I moved to far away to participate in their group. During that time I came into my own. I am now a High Priestess with 15 coven members ranging from 1 year to 50+ years. I enjoy writing lessons and watching my fellow coven members grow and learn their faith. Nothing has made me happier. Through them I am continuously learning new things all the time. I have a very eclectic group. I on the other hand prefer more of Hearth Witch practice. What that means is that I am a combination of an earth witch, kitchen witch, and healer. I am completely at home outside and inside my home. I incorporate the craft into everything I do. It is amazing when you pay attention what elements you use in your daily life. All five elements are easily used throughout your day. For those reading and don’t know what they are, the elements are this: earth, fire, water, air, and spirit. Please tell me how you incorporate these elements in your life? I don’t foresee myself straying from my path. This was my choice to walk this path. I do not believe I will go to hell for it all. Well because I do not believe in Satan for one and two where I will go is the Summer Land, at least until I move on to my next life. My belief in reincarnation is a topic for another day though. 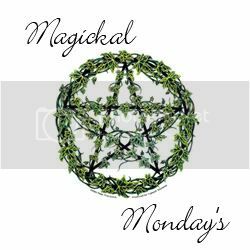 Until then, I hope you enjoyed this first segment of Magickal Monday’s. Don't forget to grab a button or contact me if you would like to participate with a blog post of your own! Blessed Be everyone!